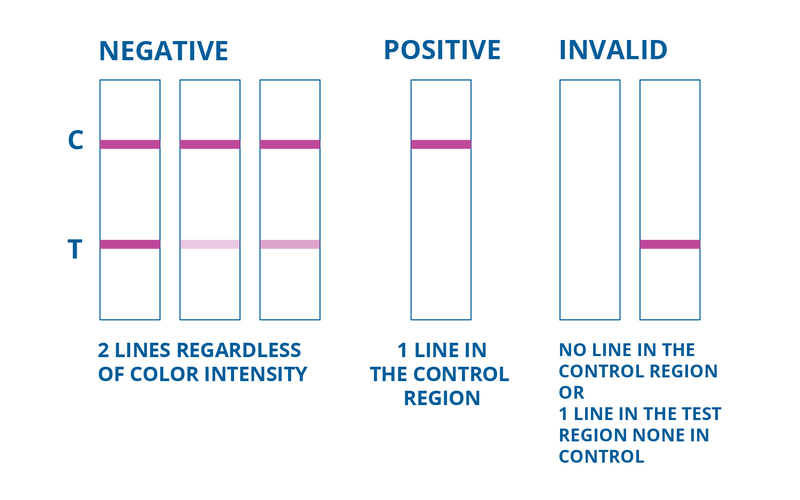 The 4 panel drug test card is one of the most popular on-site urine drug testing kits on the market. This 4 panel drug testing kit get results in less than five minutes for the most common illicit drugs, making it an easy and economical way to obtain results. Our 4 panel drug test has shelf life of 16 - 24 months andand is CLIA Waived for clinical purposes. Ease to use, fast results and excellent pricing is what defines a Medical Disposables 4 panel drug test kit. 10 - 24 $0.56 ea. $3.99 ea. 25 - 99 $2.10 ea. $2.45 ea. 100 - 499 $2.90 ea. $1.65 ea. 500 - 799 $3.10 ea. $1.45 ea. 800 or more $3.20 ea. $1.35 ea. The 4 panel urine drug test card is a FDA 510K testing device that detects 4 different drugs in a single card. This on-site urine testing kits offers an easy and economical way to obtain results for multiple drugs when needed. The 4 panel urinalysis drug testing kit serves results in less than five minutes and has an extended shelf life of 16 - 24 months. It is CLIA Waived and uses SAMHSA approved guidelines. Ease of use, fast results and excellent pricing is what defines a Medical Disposables 4 Panel drug screen test. What Drugs will be Detected ? Excellent service and I received the products in less 24 hours. thanks a lot. Web site easy to use. Every time items come in a timely manner as promised. Best price consistently. I have used this company for several years now. Quick and easy to read.